Discover The Lost World of Dinosaurs. 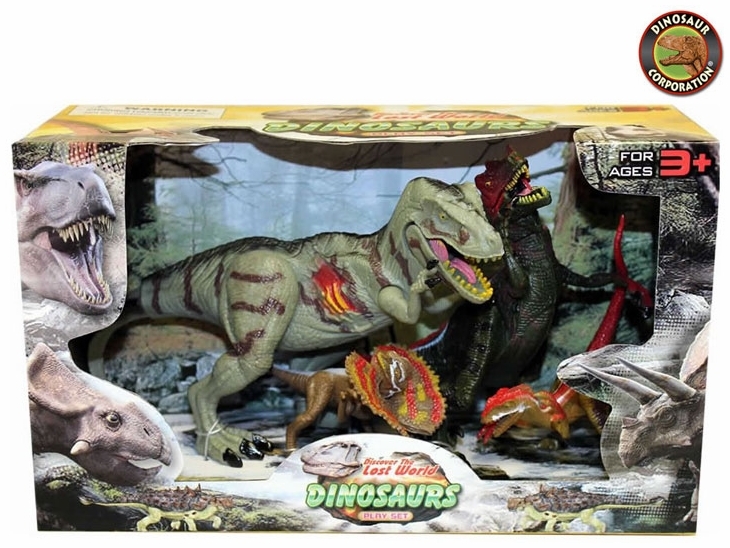 Museum quality dinosaur toys action figures play set featuring Tyrannosaurus rex attacking adult Velociraptor. Baby girl Dilophosaurus is defending against baby boy Velociraptor. Action articulated dinosaur figures with pose-able legs and limbs.